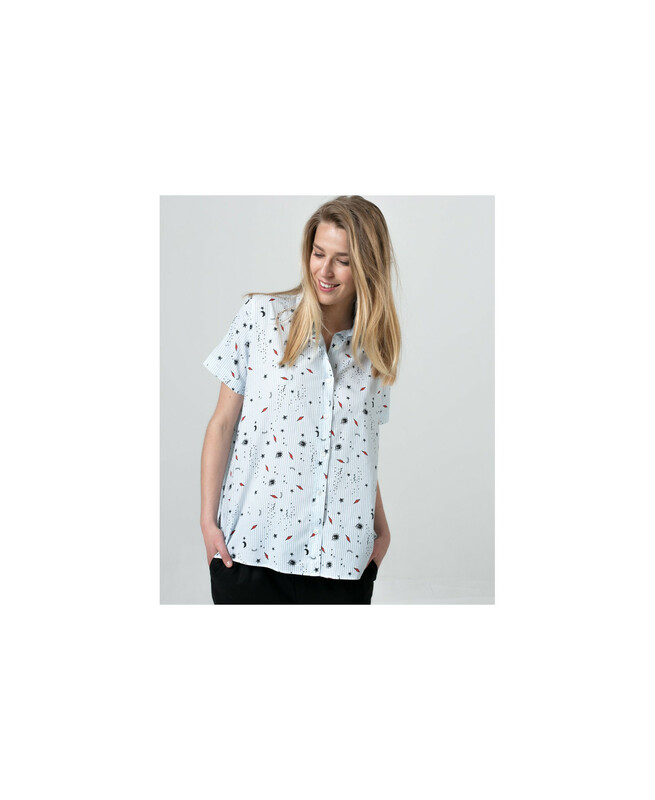 Our Lena shirt will be your sunny days companion before, during, and after the bump! 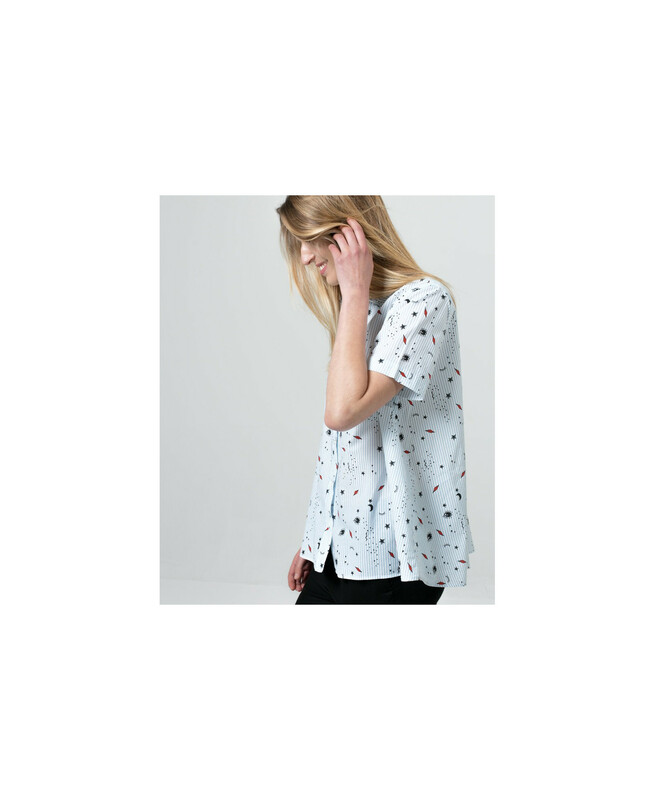 In our exclusive summer print, it is perfect to be worn in a casual or dressed up way. Its nicely flared cut is perfect, and its high-end fabric in cotton will bring you sweetness and comfort. Lou, our pregnant model, is 5'8" and is wearing a size M.
Clémence, our non pregnant model, is 5'7" and is wearing a size S.